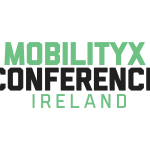 MobilityX, the autonomous driving industry conference, will welcome delegates to Dublin’s Iveagh House on Thursday, 10th May to discuss the exciting future of self-driving cars. The one-day conference will introduce the public to the global leaders of this growing sector and will be followed by an invite-only, TED style event on Mayo’s Achill Island from May 11th – 13th. The fifth annual Pets in the City will take place on Smithfield Square on Sunday, 29th April. Brought to you by Dublin City Council and supported by the DSPCA, King of Paws and 98FM, Pets in the City offers families and their furry friends the purr-fect day out. 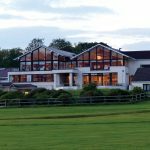 The Castlerosse Hotel, nestled between Kerry’s iconic Killarney town and National Park, offers a specifically tailored ‘Golden Breaks’ experience for those aged over 55. With a bespoke programme, the Castlerosse Hotel is a constant favourite with guests returning more than once a year. ALONE, the charity that supports older people to age at home, has acquired sixteen units to house older people who are homeless or at risk of homelessness. 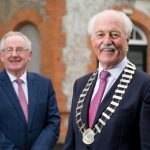 John Spollen, Director of Cassidy Travel, was elected President of the Irish Travel Agents Association at the Association’s AGM, which took place as part of the Irish Travel Trade Show in Dublin today. The latest Irish Travel Agents Association (ITAA) quarterly survey results reveal that 65% of travel agents have seen an increase in turnover in the first quarter of 2018 (Jan-Mar) compared to the same period in 2017, with 5% of agents experiencing an increase of more than 20%. 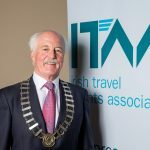 The results of the survey were released today at the Irish Travel Trade Show, the official trade show of the ITAA, which took place in the RDS Dublin.